As it is known to all, PowerPoint is a powerful presentation document program developed by Microsoft, with which you can make vivid slide shows within audio, video, animations, various pictures and so on. Now it is widely applied in teaching, training, advertising, personal presentations for some special days, etc. And there are a number of PowerPoint files on different subjects being shared online. You must have been used to finding PowerPoint online you need. Then do you know how to share a PowerPoint presentation online? There are indeed various ways for you to share PowerPoint online, and here list some for reference. It is no doubt that you may need to share presentation online for some reasons. Then you should know about the effective ways for it. Fortunately, various kinds of applications are available on how to post a PowerPoint online are available. There are various network disks online for users to store the important files and share with others as well. You can simply upload your PowerPoint to Google Drive or DropBox and give the link to others. Then you can share PowerPoint online with others by downloading the files directly. It is quite convenient and others can simply download the PPT files online. The downloaded file will be inaccessible without PowerPoint installed. Important features may be lost without the latest version of PowerPoint. Inevitable risks exist because the PPT files can be modified, copied and distributed. Safely Share the PPT files with just a few people. Here come services such as iSpring Cloud, SlideShare, SlideBoom, and many other services which can host your PowerPoint slides and share PowerPoint online. Share PowerPoint file worldwide without being modified. Enable you to view the open PowerPoint file on mobile devices. Available to share PowerPoint online in many ways: a direct link, an embed code, or an invitation. Some animations and effects may be lost. One of the most fantastic options is to turn your PowerPoint files to video with the professional converters, and then you can easily share PowerPoint online on the popular video-sharing websites like YouTube. Make the video from the PPT file accessible on YouTube and other video-sharing Websites. Effective advertising by receiving views, comments, likes, and shares. Easy to share the video just with a link. Available to publicize the video on all forms of social media. When talking about the converters, you can share PowerPoint online with the Leawo PowerPoint to Video Pro., with which you can convert PowerPoint to common video files and share it online freely. 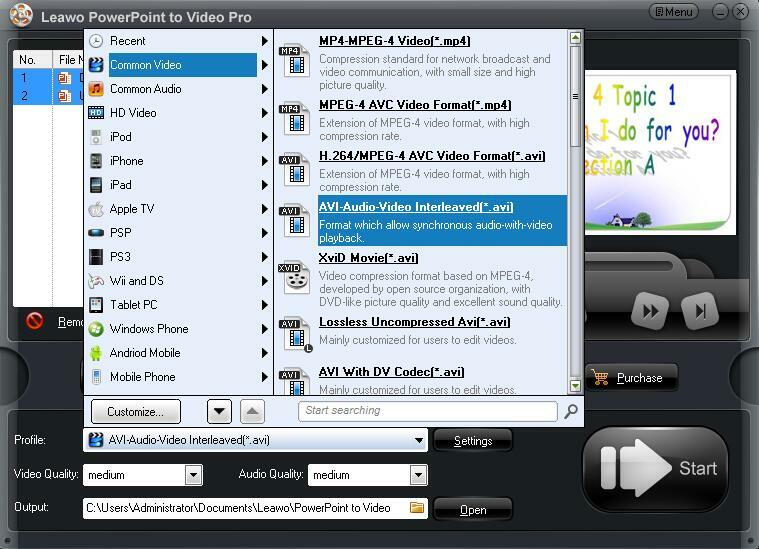 Leawo PowerPoint to Video Pro is a document converter program for converting PowerPoint to video in more than 180 video and audio formats like ASF, AVI, FLV, MPEG, MP4, TS, MOV, WMV, VOB, 3GP, RM, RA, MKV, etc. Besides, you can also turn PowerPoint to video for playing on Apple devices, Tablet PC, Mobile phone, and so on. Moreover, all the animations, transitions, sounds and video clips in the source PowerPoint files can be retained during the conversion. Then, you can upload the PowerPoint on video-sharing websites and share presentation online with others. - Allow users to customize the file. 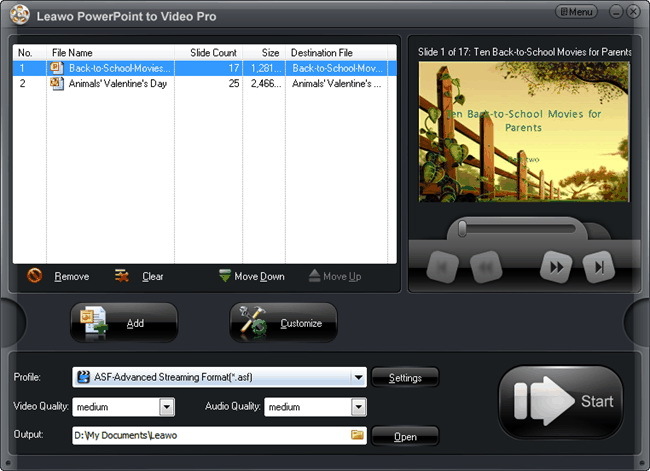 Leawo PowerPoint to Video Pro is best known for its powerful features, allowing users to personalize the file with different parameters being set based on users’ preference. To let users customize their PPT files, this program provides various features to achieve unique file style and protect files with watermark if in need.Such as converting powerpoint to video with background music, adding logo or watermark to your PowerPoint and so on. - Protect the PPT file through watermark. It adopts watermark feature to enable users to add logo or trademark so that PPT files can be protected. - Provide fast conversion speed and multilingual user interface. Fast conversion speed and multilingual user interface are both competitive features compared with other programs in the same category. 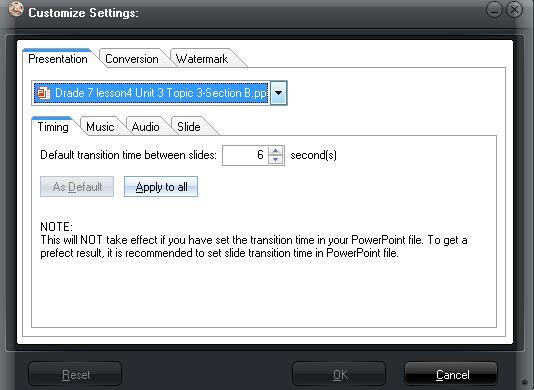 Follow the below tutorial guide to convert PPS to WMV with Leawo PowerPoint to Video Pro. After you download the program and install it on your computer, start it and follow the guide below, you will know exactly how to easily convert PPT files to video files and how to share a PowerPoint presentation online. In the main user interface, click the “Add” button to import PowerPoint files you want to share. The number of the files is not limited so that you can feel free to add the files. Click the drop-down list in “Profile” and choose the video format predefined here. 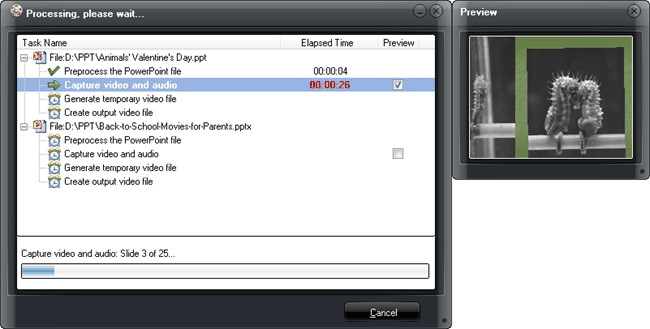 You can also set the output folder for the exported video files in “Output”. Besides, advanced settings are offered. If you’re not satisfied with the default video and audio parameters, you can click “Settings” to enter Advanced Settings Panel to adjust them to meet your specific needs. 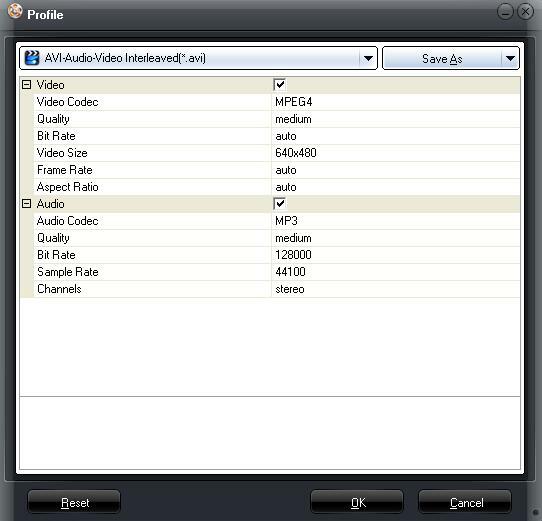 Video codec, bit rate, video size, aspect ratio, frame rate, audio codec, channel, etc. are open for modification here. Timing: Set transition time between slides within a range from 0-100 seconds. Music: Add background music for the output AVI files. Audio: Choose for ignoring the audio file from the selected PPS files. Slide: Select for keeping the original slide aspect ratio or not. Watermark: Add your own mark for advertisement and copyright protection. Conversion: Offer PowerPoint Viewer downloading here for successful conversion if PowerPoint is not installed on your computer. After all settings are finished, click the “Start” button to start converting PowerPoint to video. And you will get the output video files in several minutes. When you finish the conversion and convert PowerPoint to video, you can post the converted video on any video-sharing websites like YouTube, Facebook, etc. and share presentation online as freely as you like. Anyhow, there are so many ways for users to share PowerPoint online, you are able to choose the proper one and post your PowerPoint to the websites you like, sharing with others pleasantly.